Even the most fast-paced, action-driven novels need compelling characters to keep readers engaged. Of course, readers will never “get to know” a character if the author doesn’t have a thorough understanding of who they are and what is driving them first. To this end, we’re about to get real close and personal with a few character development exercises. Even the most fast-paced, action-driven novels need compelling characters to keep readers engaged. Nailing down your character's fundamental goal — the thing that is truly important to them — will help you see what is driving them right now and why their story is worth telling at this moment in their lives. 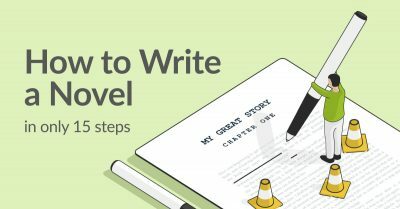 Without an internal goal to achieve, your story will lack a narrative arc. 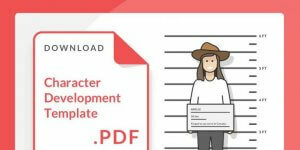 Perhaps even worse, your characters will come off as flat. Here are a few character development exercises that will help you get into the nitty-gritty of your character and strengthen the conviction of their internal goals. PRO-TIP: If you're at the beginning stages of building a character and haven't picked a name yet, this character name generator may come in handy. Most of us remember the game “truth or dare” from childhood sleepovers. Some would bravely declare “DARE!” and wait for the inevitably embarrassing challenge. Others would hazard a “truth…?” and wait nervously in their sleeping bags while the challenger mulled over which deeply provoking and juicy question to ask. How a person reacts to a difficult situation can be very revealing — and your character’s fundamental goal will inform how they respond to challenges. Your character is an eyewitness to a crime. A man has robbed a bank, but instead of keeping the money for himself, he donates it to an orphanage that can now afford to feed, clothe, and care for its children. You know who committed the crime. If you go to the authorities with the information, there's a good chance the money will be returned to the bank, leaving a lot of kids in need. What does your character do? Turn the robber in. Stealing is wrong, end of story. Keep the information to yourself because the money is going to a good cause. There is a trolley running down a track. In its path are five people who have been tied to the track and cannot move. Next to your character is a lever with the power to lead the trolley down a different track. Unfortunately, there is a single person tied to that one. What does your character do? Nothing. The five people die. Pull the lever, saving five people, but killing the single person. Jot down what might be going through your character's head as they consider the potential consequences of their actions. 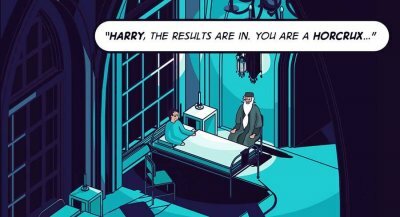 For instance, if your character decides not to pull the lever in the trolley example, they might imagine explaining to people that there wasn't enough time to reach the lever, and pretend the outcome was out of their hands. If they are leaning towards pulling the lever, they might be swayed by the idea of dealing with one set of grieving family members as opposed to five. And for an extra twist, try putting your character into a different role in the dilemma (i.e. in the trolley problem, have your character be the train driver or stuck on the track.) You can read this post to learn more about types of character conflict — and if you'd like more conflict-ripe situations, head here. Sign up for this free 10-part course! Enter your email below and select 'Writing - Developing Characters That Your Readers Will Love' in the drop-down menu. Humans are highly resistant to change — for a character to believably undergo a personal journey that substantially alters them, something HUGE and specific must happen to them. This event doesn't have to happen in your story, but once you can identify your character’s limits, you can determine what is required to create a potential change in their fundamental nature. At the start of A Christmas Carol, Ebenezer Scrooge is a self-involved miser. He has alienated himself from those around him and lacks empathy, even for his poor clerk, Bob Cratchit, who can barely feed own children. 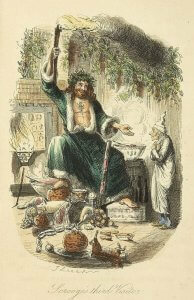 However, at the end of the novel, Scrooge is redeemed as a generous, lively friend. What event inspired this total one-eighty in his character? The visit from the ghosts of past, present, and future, and the first-hand knowledge of how his actions have negatively impacted not only those around him, but his own life. For this exercise, determine what this catalyst for change might be by considering situations or attributes that feel counterintuitive. For instance, if your character is a Good Samaritan, it is unlikely they would commit a crime. What would have to be at stake for this unlikely situation to happen — and for a core part of your character to change? A fundamental goal is what drives your character, it's why their story is worth telling right now. When we crack open a novel, the main character’s current, overarching goal is the reason the story exists for us to read. However, a believable character is not one that has burst into being on Page 1. A compelling character will have external influences and a past that informs their present and the crux of their internal journey. 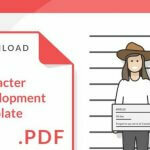 The following character development exercises will allow you to not only get a more thorough picture of your character’s life, but also to zero in on the significant influences that have shaped who your character is, at this moment in time. Create a timeline of the significant moments of your character’s life. Like many authors, you can use post-it notes or a big whiteboard to visualize your character’s life. You can easily move or add events until you feel your character has a well-developed history. After you’ve finished the timeline, distill it into the top 5-10 moments that have shaped your character. For instance, if loss is a thematically important part of your book, perhaps a significant part of your character’s past is when they lost a grandparent as a child. In The Great Gatsby, before we meet the novel’s eponymous character, we hear of him. When Nick Carraway, the narrator, first attends one of Gatsby’s famous parties in the hopes of meeting the mysterious millionaire, it takes a while for Nick to find him. During this time, Nick becomes privy to a host of information about Gatsby. And while it is unclear what is fact or fiction — such as the rumor that Gatsby once killed a man — we get a sense of what other characters think of him. Establishing how your character is perceived by others is a great way to give them greater context. 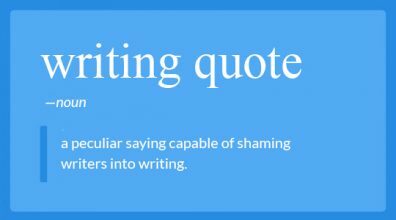 It can provide the author with expectations to subvert for the reader and add an interesting mystique to the character. In the case of Gatsby, it gives him almost a mythical sense. And as the novel continues, it is revealed that this “mythology” is intentional, as Gatsby himself lives life as a character of his own creation. To give the Gatsby Method a go, write a scene in which your character is only present through the candid descriptions of him/her by others. A believable character doesn't burst into being on Page 1 — they have a past. Once you’ve developed the internal motivations and external influences that drive your character's arc, you need to figure out how you’re going to convey this information. 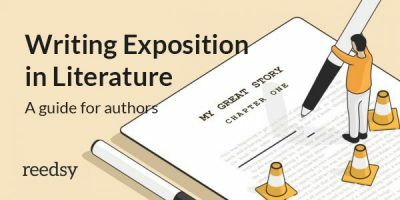 For your protagonist to shine through the page with subtlety, and without the need for long-winded exposition, they need to have their own voice and distinctive physicality, regardless of which narration perspective your novel includes. Try the following character development exercise to get a better idea of your character’s voice. Think about it: how many times have you been asked in one form or another, “So, tell me about yourself?” It’s a classic ice-breaker question, and, these days, with social media and the overwhelming variety of ways for us to “present ourselves” to the world, the stakes of “tell me about yourself” have never been higher. Of course, we change the way we answer this question based on who we’re talking to. When you meet someone, you do not start by announcing your height, weight, hair, and eye color, so please do not introduce your character to readers like this. But how to avoid describing looks and physicality without chunks of exposition? Joyce takes advantage of a moment of action to shed light on Stephen’s looks and his anxious demeanor. Try your hand at conveying your character through action by first writing a list of physical traits that apply to your character. Next, with that list at hand, write a scene where something is happening — whether it’s a conversation, laundry-folding, cooking, etc. Weave references to your character’s physicality into the action. Sometimes a bad case of writer’s block boils down to a broken connection between you and your protagonist, and the solution can be a change of scenery. Not for you — for your character! Writing prompts are a good way to get the creative juices flowing and can help you clear out the block so your character can continue down your story’s path. For a weekly supply of fresh writing prompts, head here. For your protagonist to shine through the page, they need to have their own voice. It’s only once you have acquired a thorough understanding of your protagonist, that a compelling and realistic character will shine through the page. However, there is disagreement in the world of writing communities regarding what information is or is not relevant for an author to know about a character. While we believe it’s probably unnecessary for an author know the number of hairs on their character’s head, we also believe you can never know too much about your protagonist. What’s important is discerning what information is significant to the current story you’re writing. 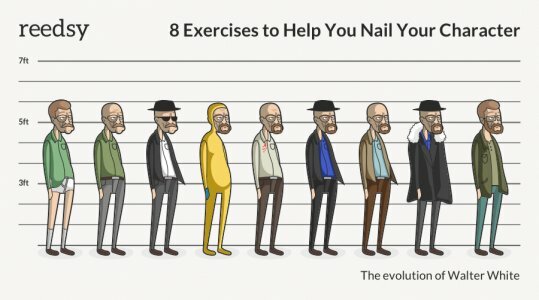 If you’ve tried any of our suggested character development exercises, or if you have favorite tricks of your own, let us know in the comments! 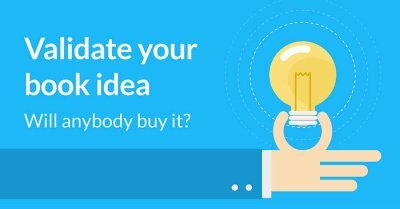 How To Validate Your Book Idea. Finding an idea for your book that's both profitable and exciting is achievable! In this course, entrepreneur Dave Chesson explains why you should care about validating your book idea and the exact way to go about doing so. I have one trick I use when I'm really desperate for answers. I interview my characters. By asking them questions, I can get to the bottom of the problem, and hopefully answer and solve anything I'm having trouble with.